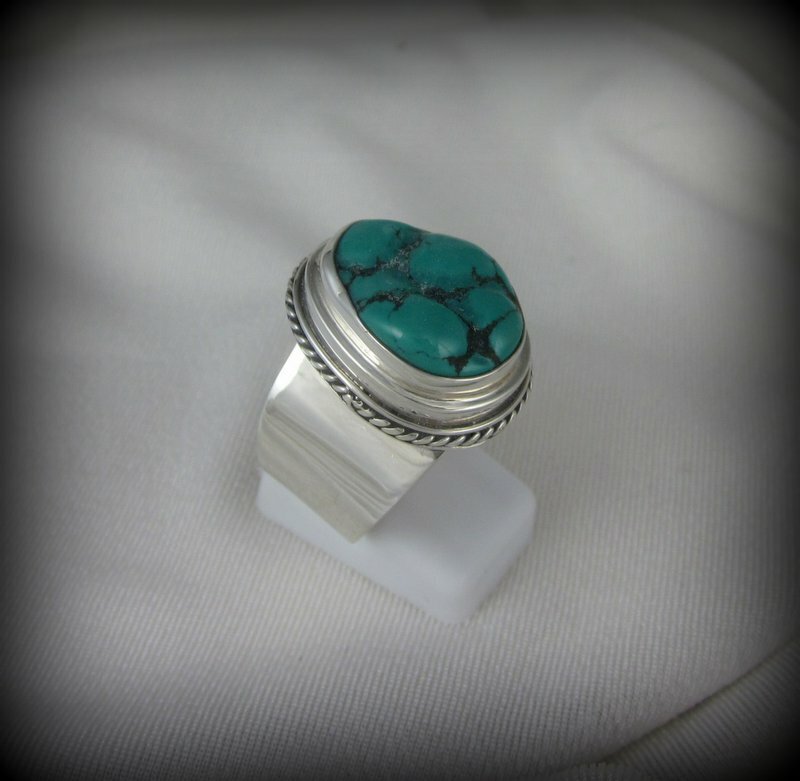 Rough cut turquoise set in hand crafted sterling silver. This one of a kind ring is designed by Georgette of Deadwood. Size 11.